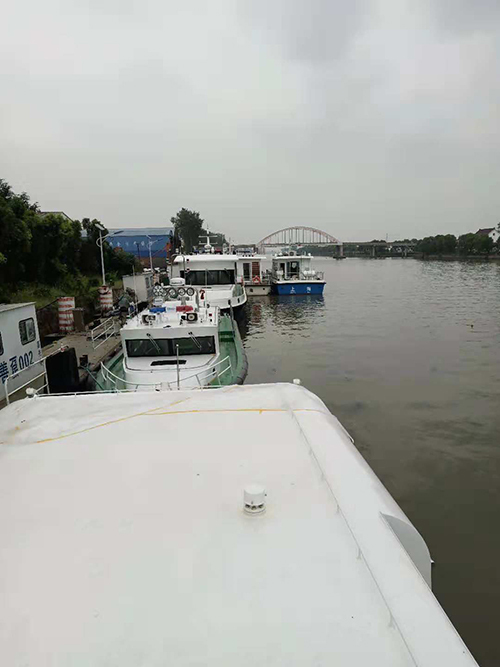 China’s maritime territories is 2997,000 square kilometers, it is one third of the land territories, so the management is an arduous task and the road is long. 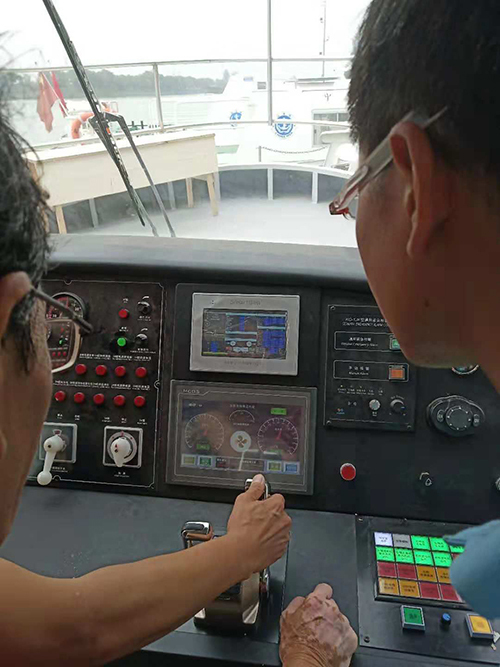 As the saying goes, ” Good horse matches good saddle “, an advanced marine electric propulsion ship needs a reliable and stable power distribution system. 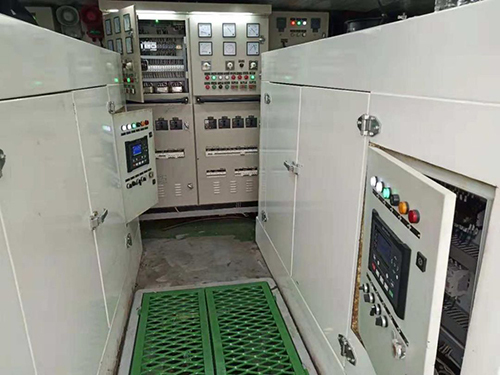 The power distribution system includes: distribution board + generator set. There are systems that need two gensets to be synchronized before power distribution: manual synchronizing system and auto synchronizing system. 4.Synchronizing operation is simple and intelligent. HMC9510 control module is designed for manual/auto synchronizing system generators with similar or different capacity. Additionally, it is suitable for single unit constant power output and mains synchronization. 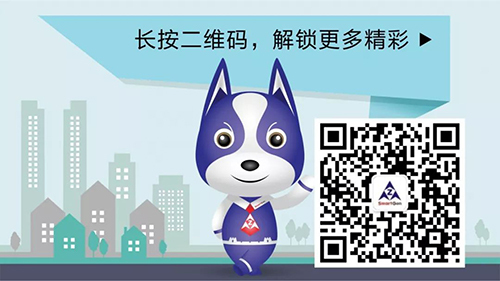 It allows automatic start/stop, parallel running, data measurement, alarm protection as well as remote control, remote measurement and remote communication function. It fits with LCD display, optional Chinese, English and other languages interface, and it is reliable and easy to use. 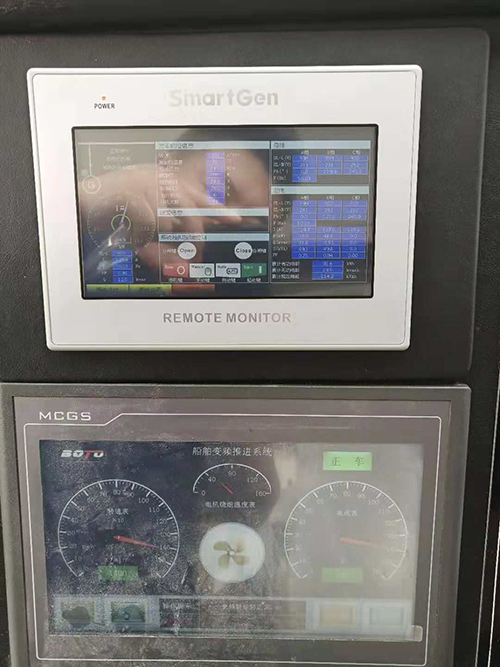 Utilizing the GOV (Engine Speed Governor) and AVR (Automatic Voltage Regulator) control function, the control module is able to synchronize and share load automatically; it can be used to synchronize with other HMC9510 control module. 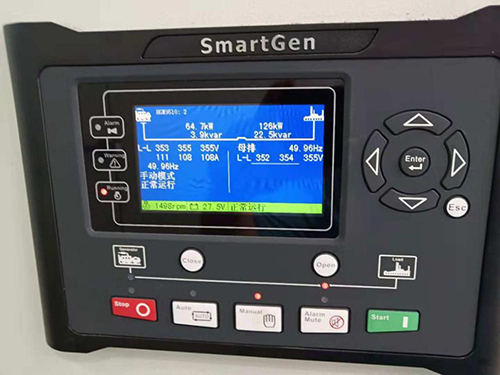 HGM9510 control module also monitors the genset, indicating the operational status and fault conditions accurately. 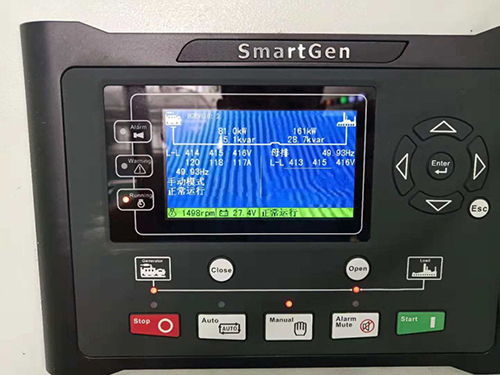 When abnormal condition occurs, it splits bus and shuts down the genset, simultaneously the exact failure mode information is indicated by the LCD display on the front panel. 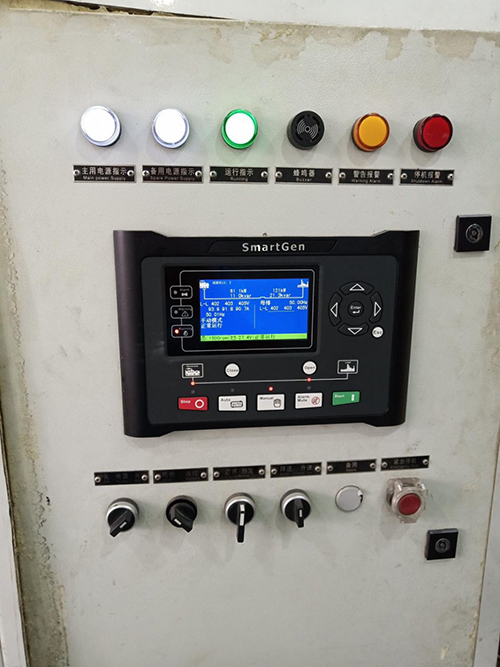 SAE J1939 interface enables the control module to communicate with various ECU (ENGINE CONTROL UNIT) which fitted with J1939 interface，connect the cockpit touch screen HGM9510-WL monitor through RS485 interface. This case is a 30m Chinese maritime vessel built by a shipyard. We got the feedback that power distribution cannot be achieved after the two gensets synchronize, the load of two sets fluctuates a lot. Then the customer used the HMC9510 synchronizing system, the synchronizing system was normal under light load. But when the ship was running at full speed, the generating voltage fluctuated between 350V and 420V. Later, when troubleshooting problems, we found that the front stage of electric propeller driving by the back stage had a frequency converter. 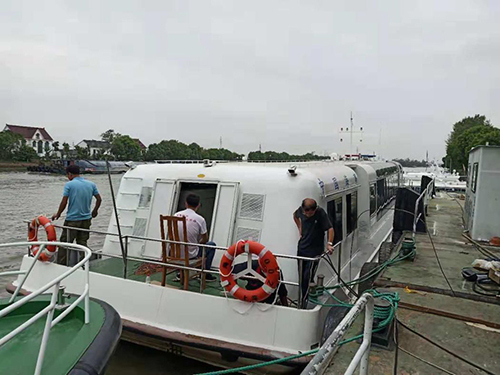 Because of the electrical characteristics of the frequency converter, the fluctuation of AC generating voltage, active power and reactive power would occur when the vessel was running at full speed, resulting in the uneven distribution under heavy load. 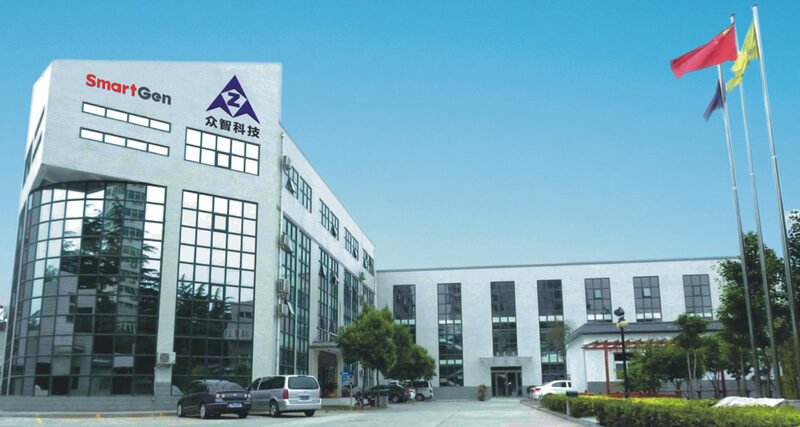 Use the anti-high frequency interference voltage regulator and the problem is solved.